We offer lead pour and fill service for your product to be used as a weight or a counterweight. Typically that would be a steel container, as below. 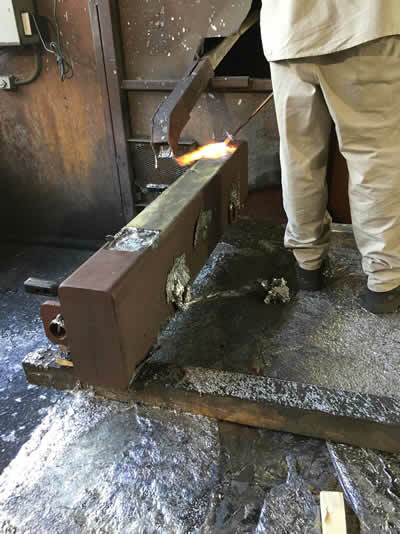 Melting the lead into a custom bumper. Ship your container to us. We’ll fill with lead to your required specification and ship it back. Call us for your pour and fill requirement.